My children are in love with doing STEM activities (science, technology, engineering and math (STEM) these days! One moment you may find my daughter making magic potions in the bathtub, while another minute she is begging me to help her with her Magic School Bus Engineering Lab Kit. I like to support my children in all of their efforts, especially when it comes to science and engineering. 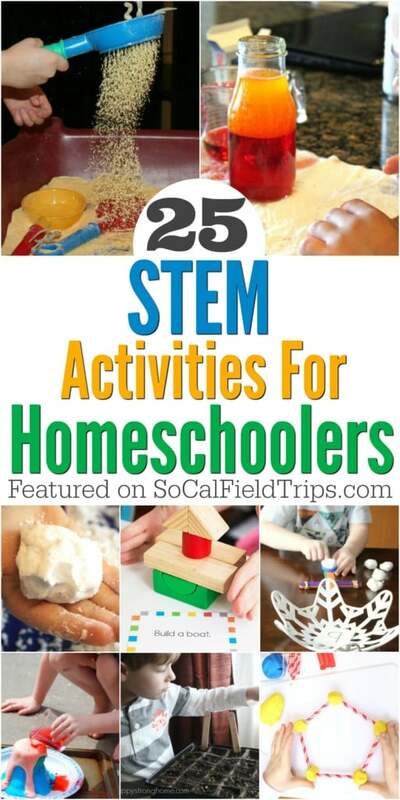 Therefore, these 25 STEM Activties for Homeschoolers are sure to keep your little scientist engaged, learning and well-prepared for the 21st century. Not only are these 25 easy STEM activities great for homeschoolers, but they are also useful for classroom science experiments and after school science clubs. As a blogger, I have the opportunity to work with some very unique companies that design children’s products. As a mom, whenever I come across a product that is both educational in nature and fun, I tend to purchase it for my children. So when Green Kid Crafts approached me about doing a review of one of their Discovery Boxes, I gladly accepted! 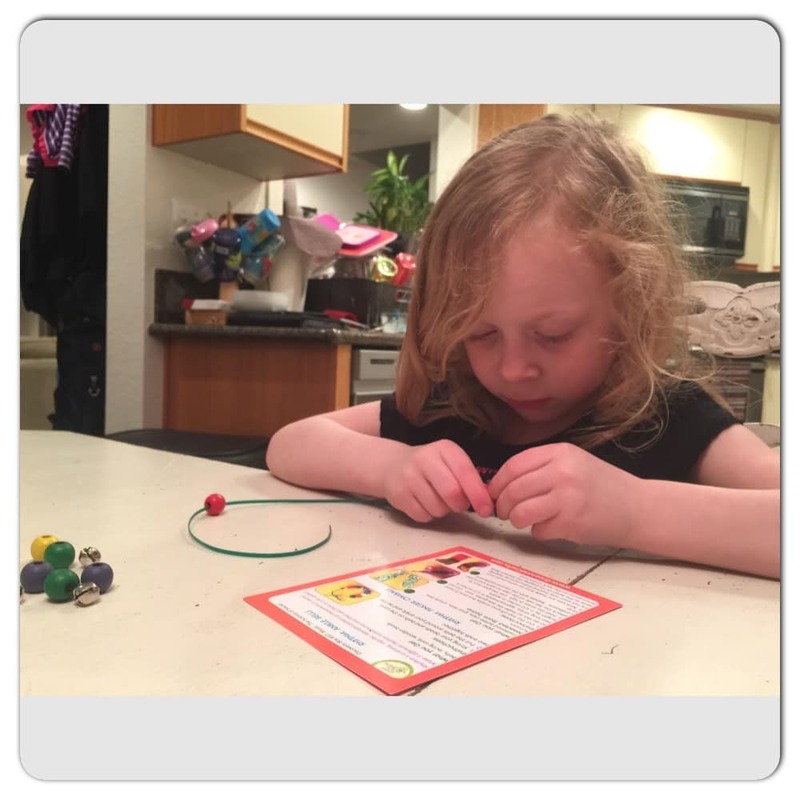 Green Kid Crafts delights over ten thousand kids across North America each month with fun, creative and eco-friendly craft and STEM activities (science, technology, engineering, and mathematics), delivered right to their door through the company’s subscription program! Every month’s Discovery Box is packed with 3-4 unique and engaging activity kits designed to foster a child’s creativity. We obviously do a lot of crafts at home. On any given day, you may find Field Trip Girl coloring at the table or Field Trip Boy drawing a new Minecraft character after watching a clip on YouTube. The first thing I noticed when I opened our Green Kid Crafts The Music: The Science of Sound Discovery Box was how organized it was. Each individual craft was put together nicely in a small zip lock bag. All the activities were planned out and prepped and ready to go. Hence, I didn’t have to run out to the craft store to get supplies for our next project. All I had to do was open up the box and explain the easy-to-understand directions to my children. In addition to the prepared materials, you’ll find several extension activities listed on the back of the activity cards. Plus you’ll also find a link to download a FREE activity guide with even more fun ideas! 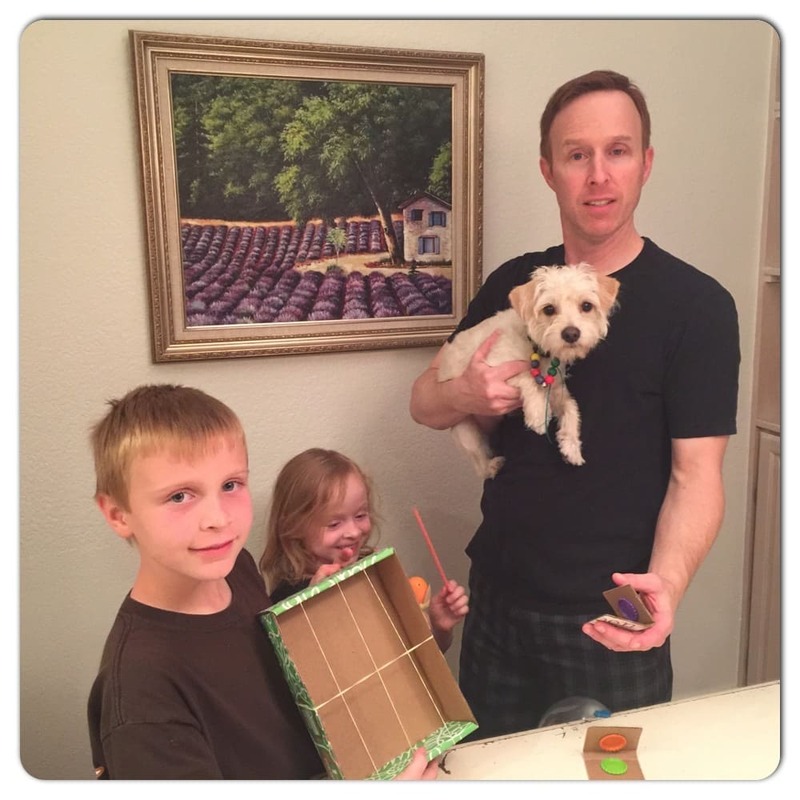 Green Kid Crafts are hands-on, award-winning, and eco-friendly. We even got to use the shipping box in two of our crafts! 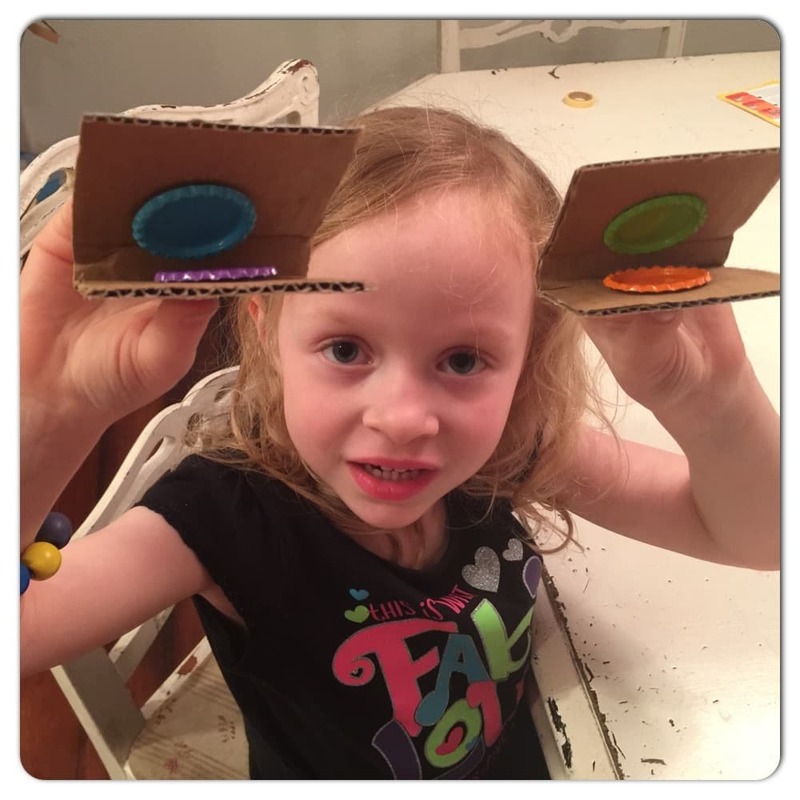 Green Kid Crafts’ Discovery Boxes are best for children ages 3-10 years old. Even Mr. SoCal Field Trips and Field Trip Dog got in on our family jam session! 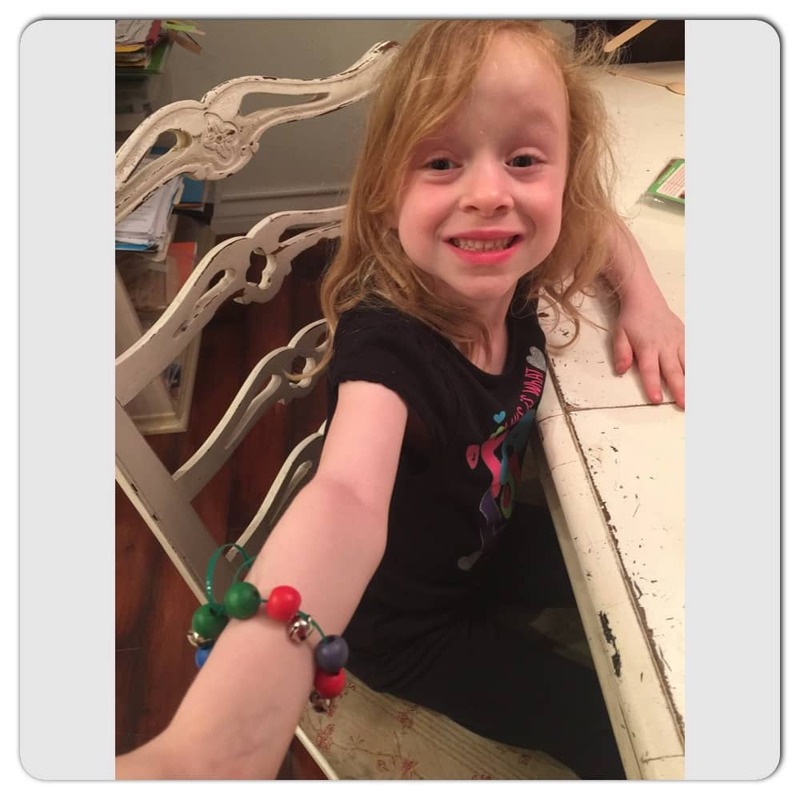 Field Trip Girl put together this cute ankle bracelet by only using lacing chord, bells and wooden beads. Everything was premeasured and precut to fit together. All I had to do was help Field Trip Girl tie a knot at the end. Field Trip Boy got right to work on this craft! 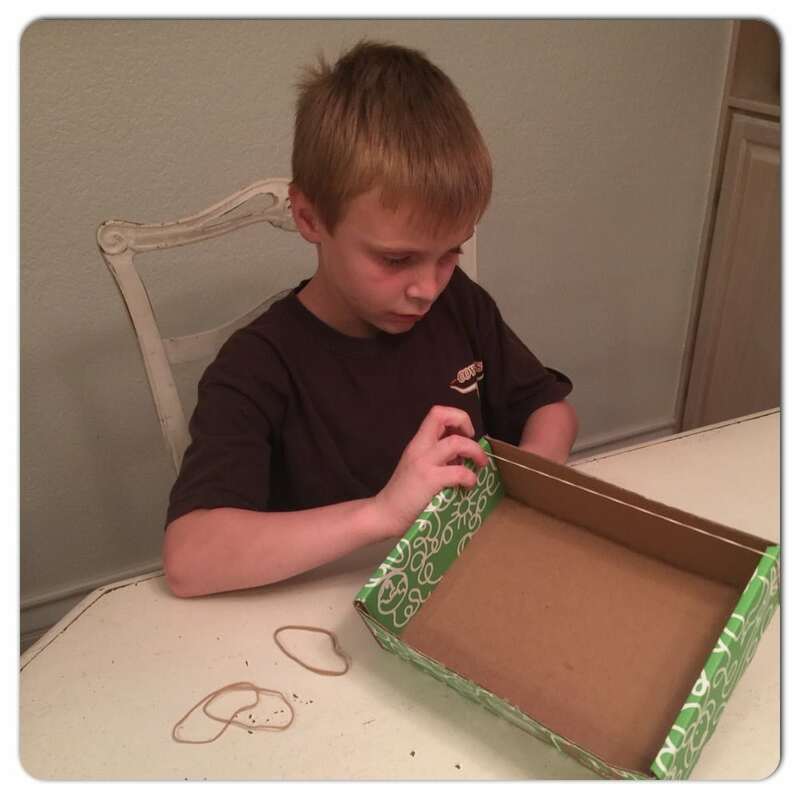 With only 5 stretchy rubber bands and the shipping box, he created a guitar and strum to his own beat. He even discovered why the rubber bands made different types of sounds. 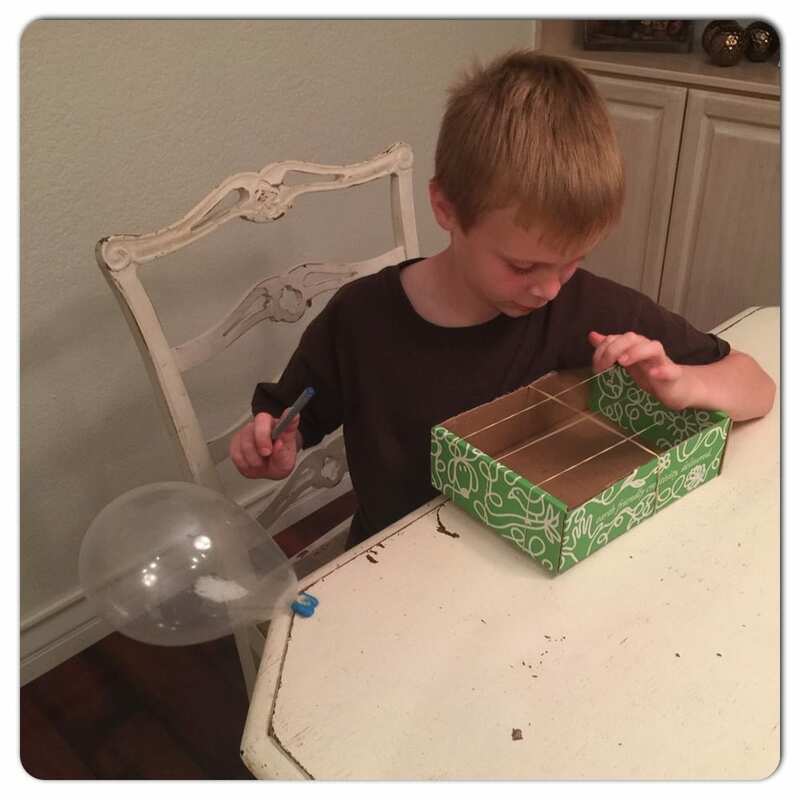 After Field Trip Boy made his box guitar, he jammed out on the balloon rattle. He needed a little bit of assistance from Mr. SoCal Field Trips to make it, because you have to pour the provided salt packet into the latex balloon. It requires a steady hand and a little bit of patience. Field Trip Girl made finger cymbals out of the empty shipping box (reuse, renew, recycle! ), four bottle caps and glue dots. I personally liked the fact that the bottle caps were flattened out and had smooth edges. Field Trip Boy tried out the maracas and declared that they were easy to make. 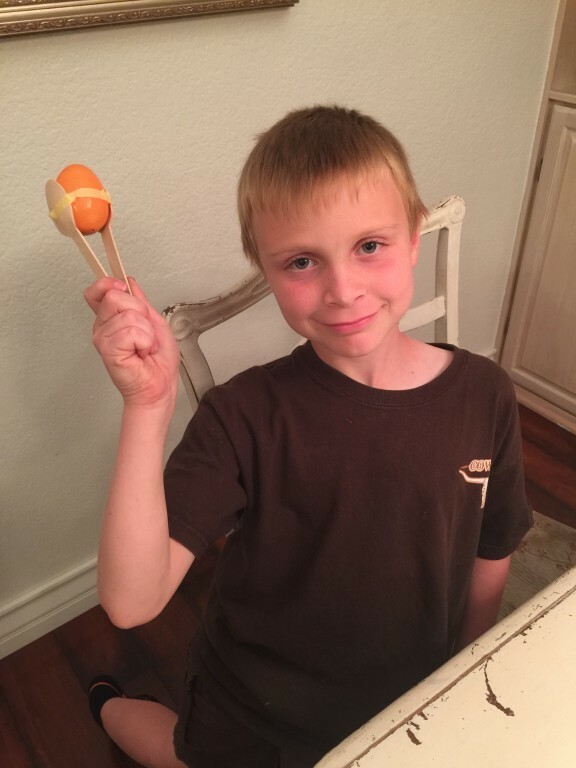 With only two wooden spoons, tape, a plastic egg and a handful of dried pinto beans, Field Trip Boy got the party started! 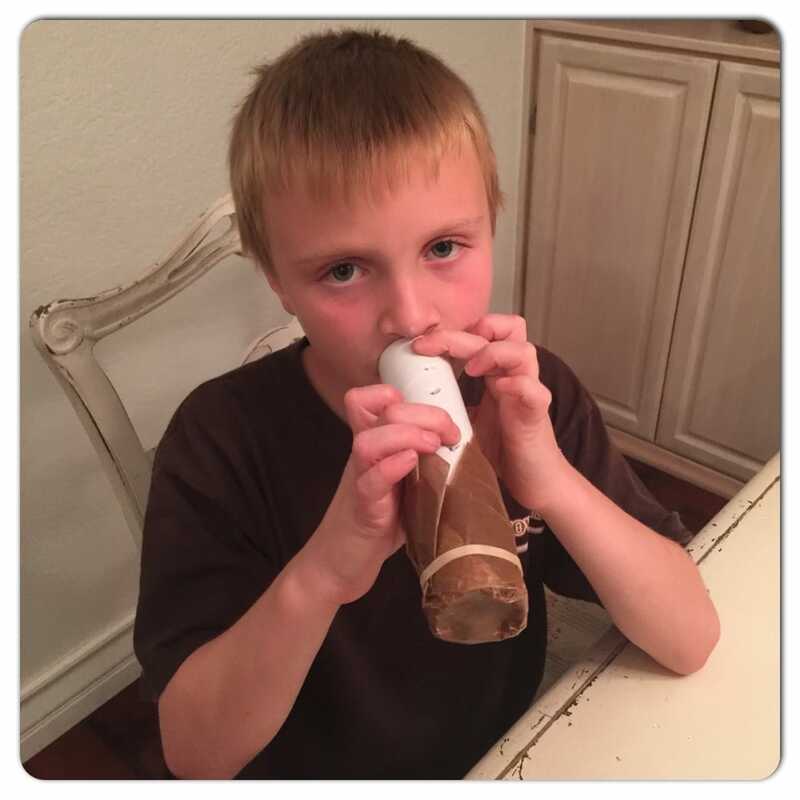 Field Trip Boy made this personal kazoo out of a tube, waxed paper and a rubber band. He said it was fun to play! 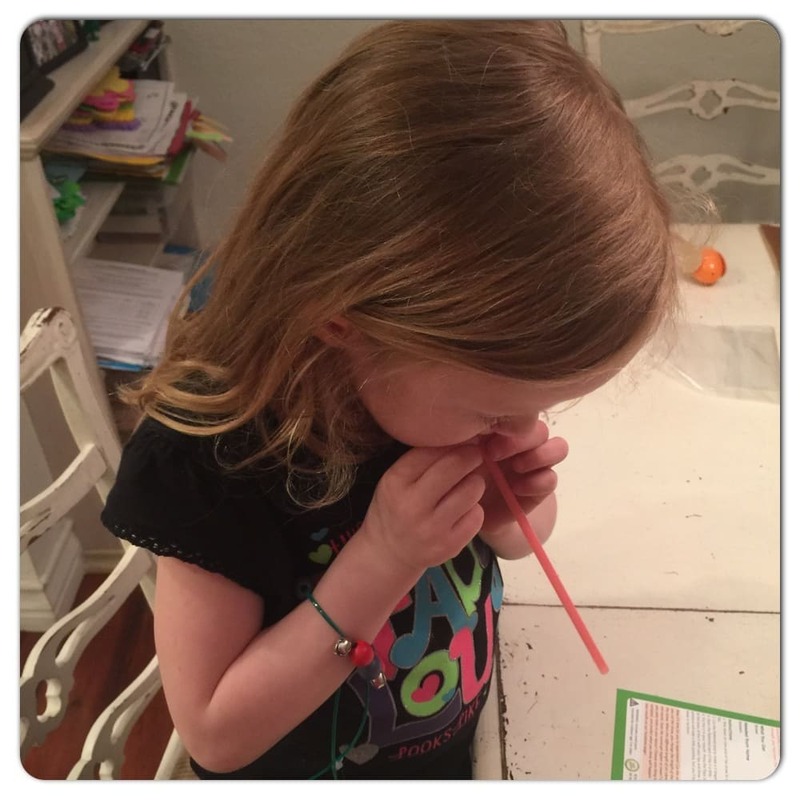 With a little bit of creativity, Field Trip Girl made and played her own homemade straw kazoo! With each monthly subscription comes a new Green Kid crafts theme! Past themes have included Mad Scientist, Around the World, Creativity Art Box and Kitchen Science. Green Kid Crafts Subscriptions are available in month-to-month, 3, 6 and 12 month durations, and also make great gifts! Subscriptions start as low as $17.95 / month, and sibling subscriptions are also available. You can view Green Kid Crafts full line up of Discovery Boxes at www.greenkidcrafts.com. 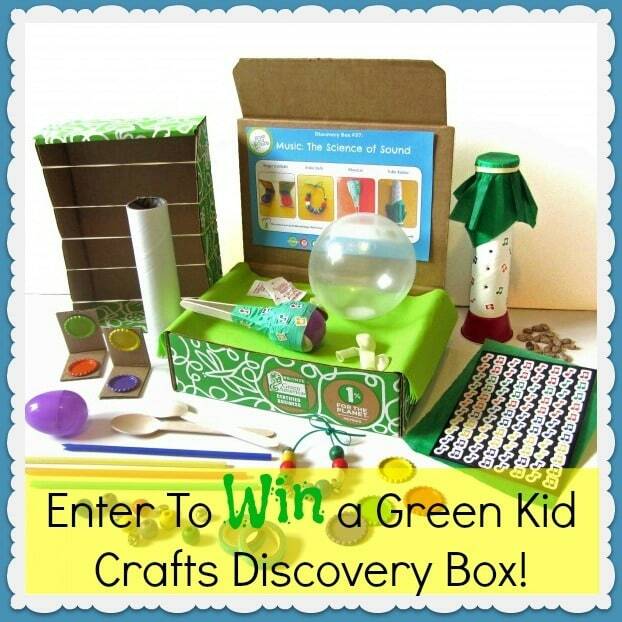 Now enter for your chance to win (1) Green Kid Crafts Discovery Box! 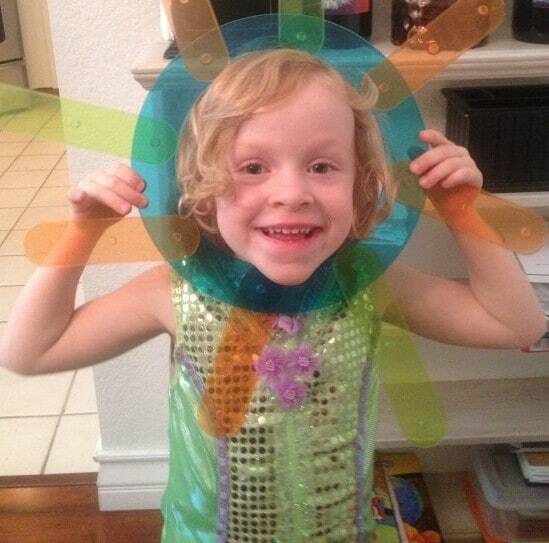 Disclosure: We received a complimentary Green Kid Crafts Discovery Box for review purposes. All points of view are my own. 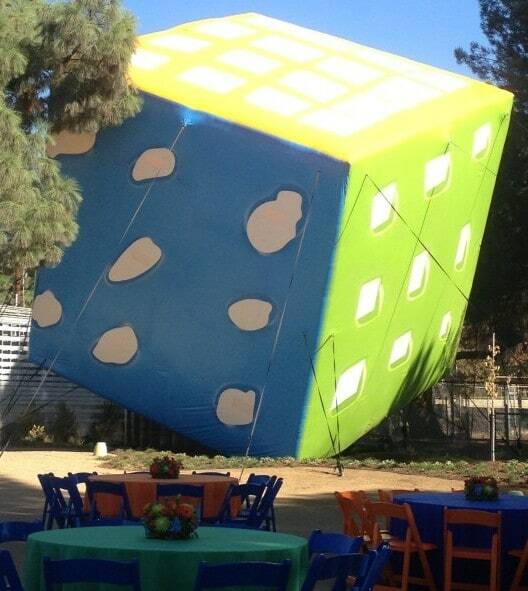 Giveaway and Grand Opening of The New Discovery Cube Los Angeles! 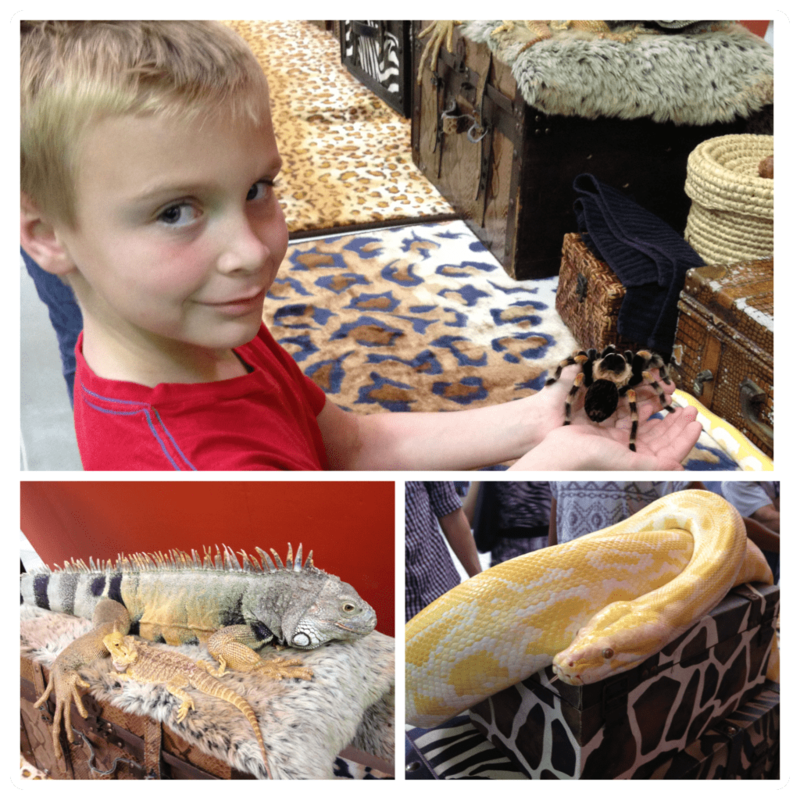 Field Trip Boy and I recently had the opportunity to attend Family Day at the new Discovery Cube Los Angeles located in the heart of the San Fernando Valley. Discovery Cube LA is just like a little scientist’s candyland, except that instead of candy, there are science experiments beaming from room to room! 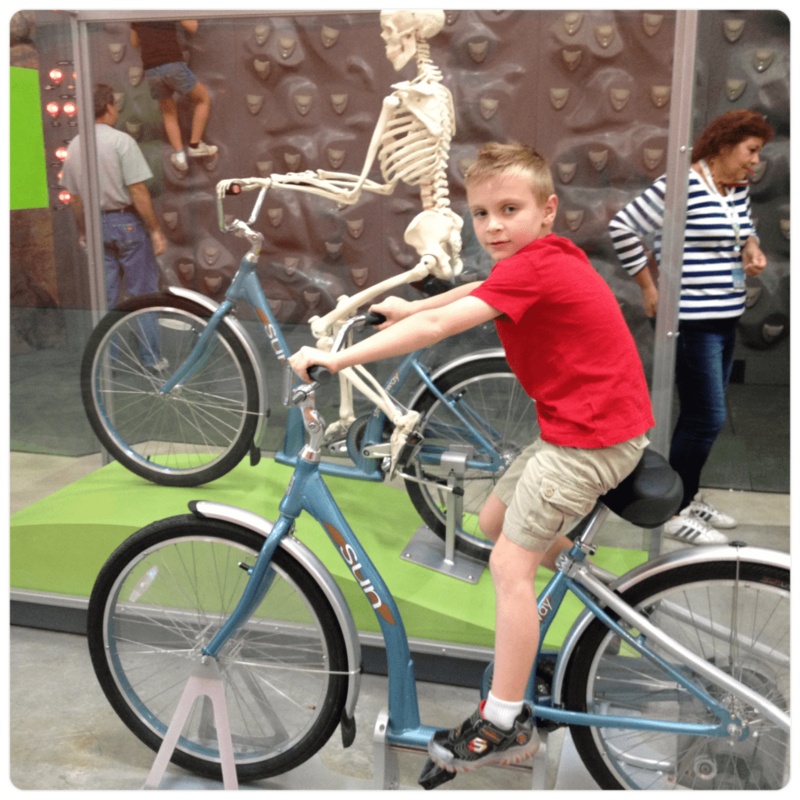 Field Trip Boy and I both enjoy the original Discovery Science Center, now called The Discovery Cube OC, in Orange County. 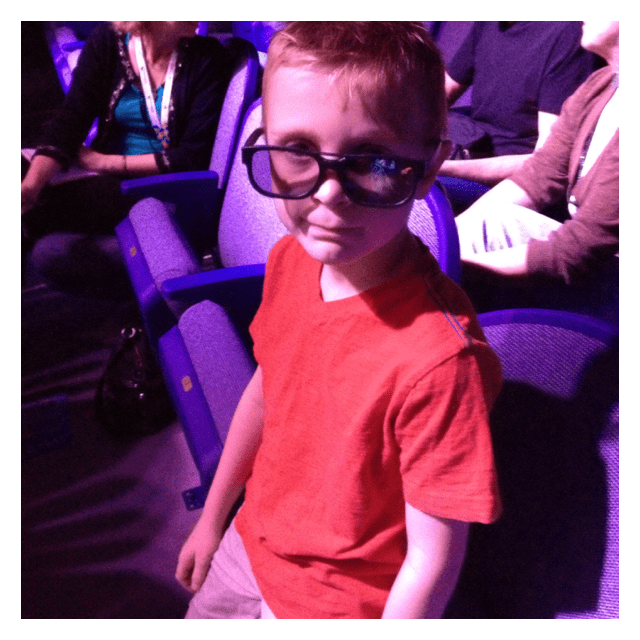 So when I surprised Field Trip Boy on a random Saturday morning that we were going to the brand new Discovery Cube Los Angeles he was ecstatic. The Discovery Cube Los Angeles is a place where imaginations sore, children explore with their hands and education always comes first. The LA Cube features 71,000 square feet of building and exhibit space and is the Valley’s first major museum specifically designed for science-based learning. Did you know that California currently ranks 46th in math proficiency and is tied for 48th in science proficiency compared to other states in our nation? The Discovery Science Foundation has stepped up to help bridge this gap through their continuous education programs, exhibits and professional teacher development workshops. With locations in Orange County and now in Los Angeles, they reach and serve close to 1,000,000 people each year. Guests can take a Helicopter Tour in the theater to get a bird’s eye view of California’s natural resources. 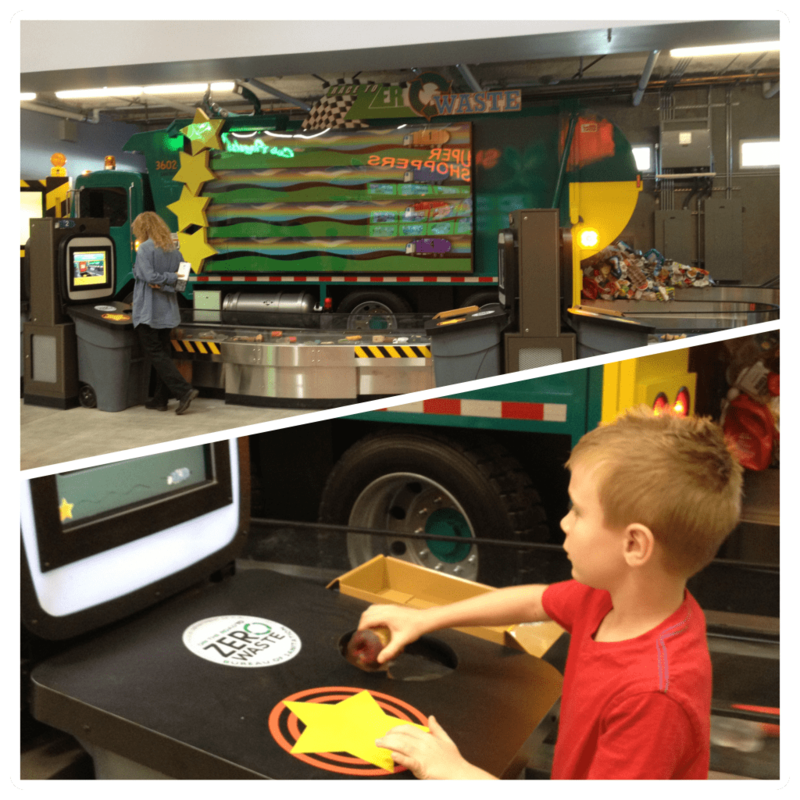 During the Race to Zero exhibit Field Trip Boy played a computer based game that taught him the correct way to sort trash and divert materials from the landfills. He beat me of course! 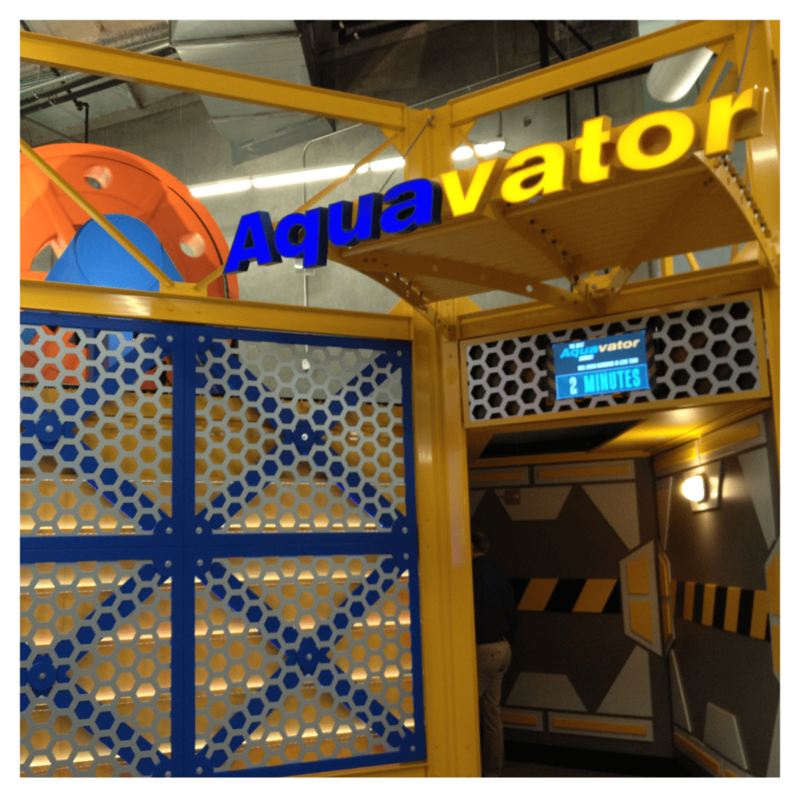 In the Aquavator exhibit guests learn the importance of protecting our fragile aquifer from pollutants as they descend inside a glass elevator through layers of the earth. 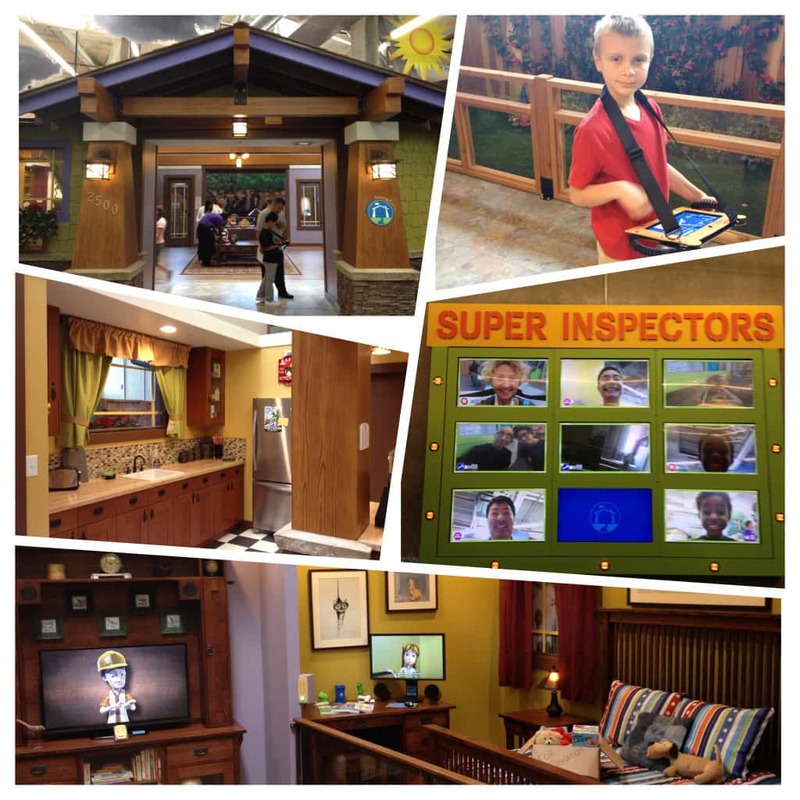 While visiting the Inspector Training Course, Field Trip Boy learned the skills of a home inspector by using a touch screen tablet and how to make resource-efficient and sustainable choices for a house. Field Trip Boy spent the majority of his time exploring this one exhibit at the cube and the staff was very friendly and helpful in answering all of his questions. On The Discovery Stage you can watch one of the cube’s live, hands-on science demonstrations led by the Discovery Cube staff. 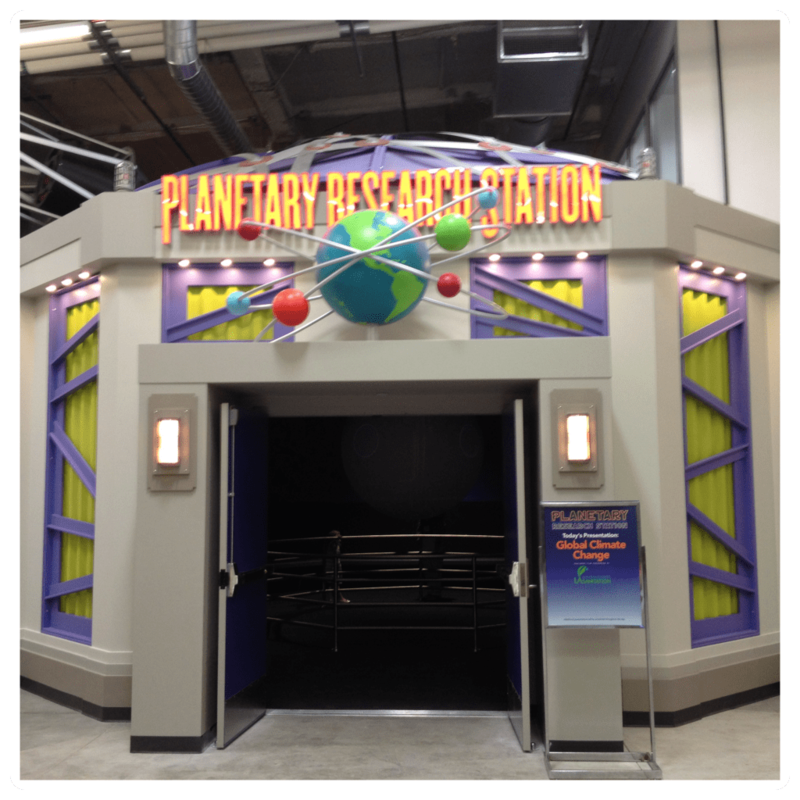 The Planetary Research Station features a suspended, animated globe that shows dynamic images of the atmosphere, oceans, and land from a completely different vantage point. 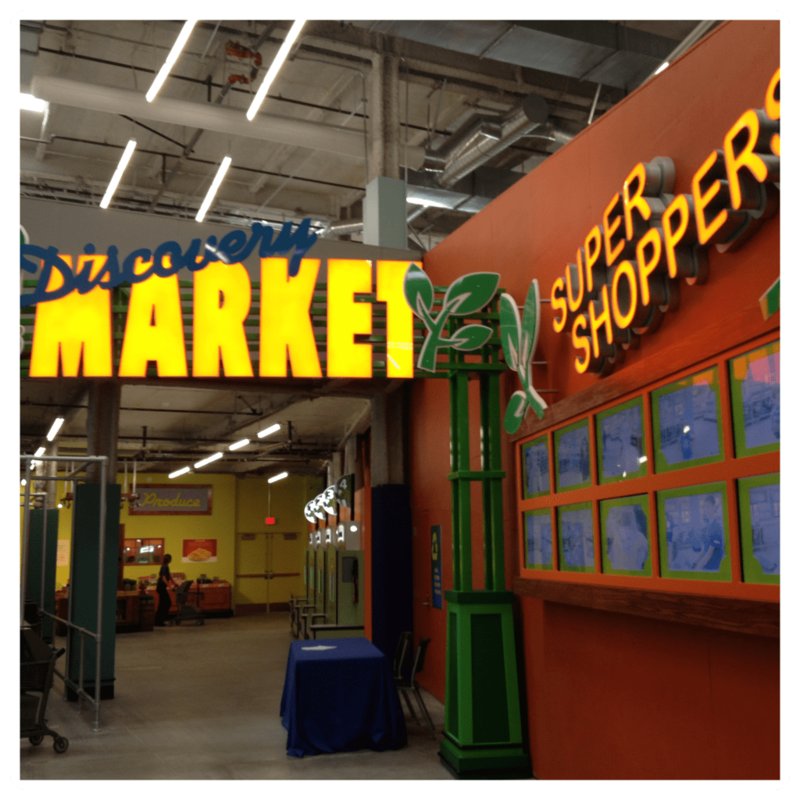 At the Discovery Market, they use game-based technology to teach guests the importance of understanding packaging labels, nutrition facts, and making healthy choices to better their lives. 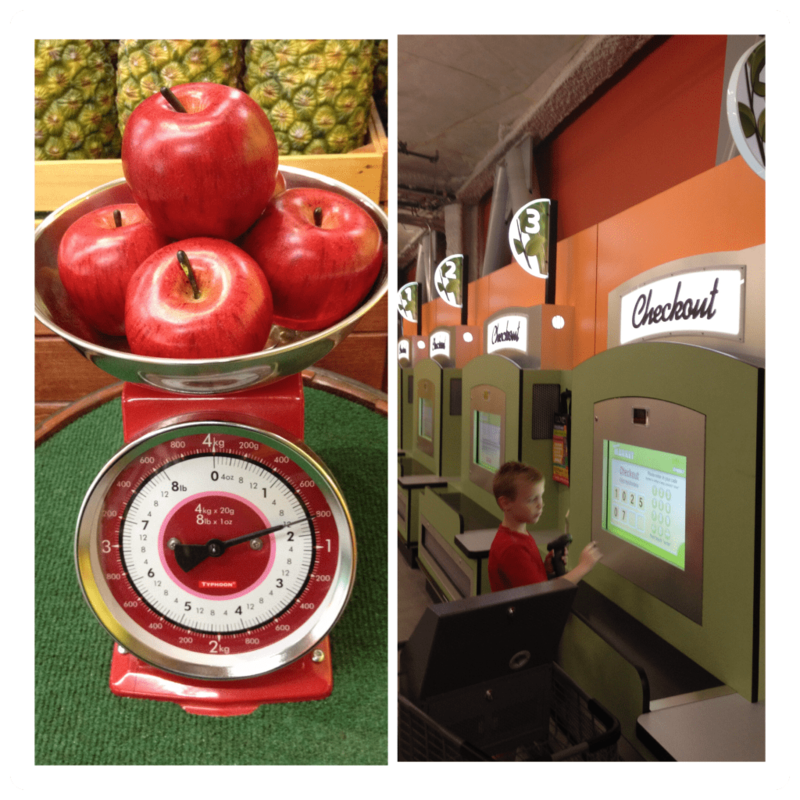 I had to help Field Trip Boy answer a few questions about how many calories a product had, what was the total sodium count, etc. It even taught me a lesson or two about reading food labels. Field Trip Boy checking out at the Discovery Market. 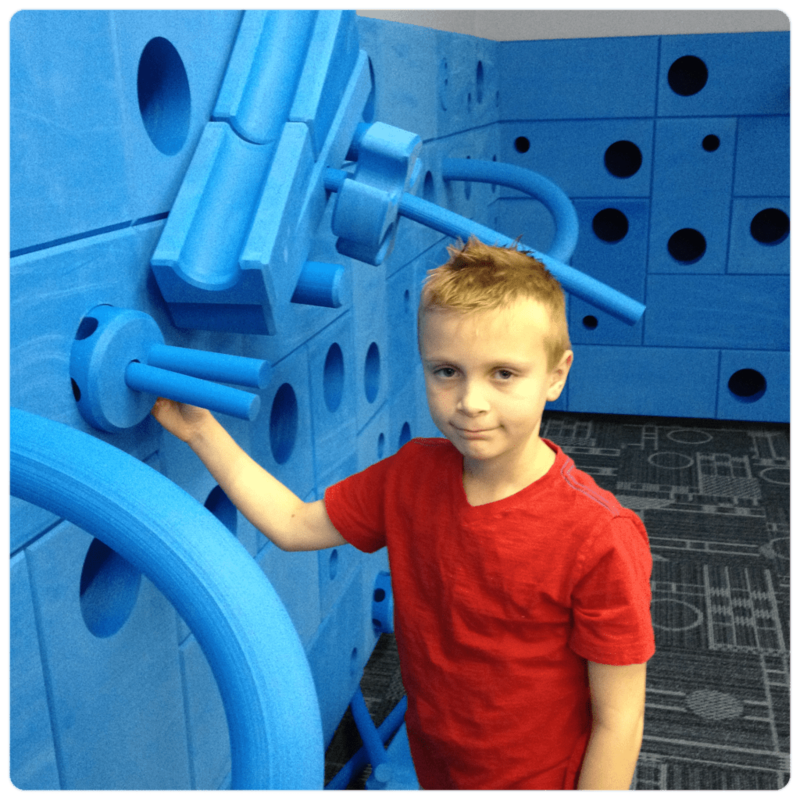 The Discovery Cube Los Angeles makes a great outing for the entire family. I especially like the fact that the designers of the LA Cube included exhibits that are attractive for older students and preteens. 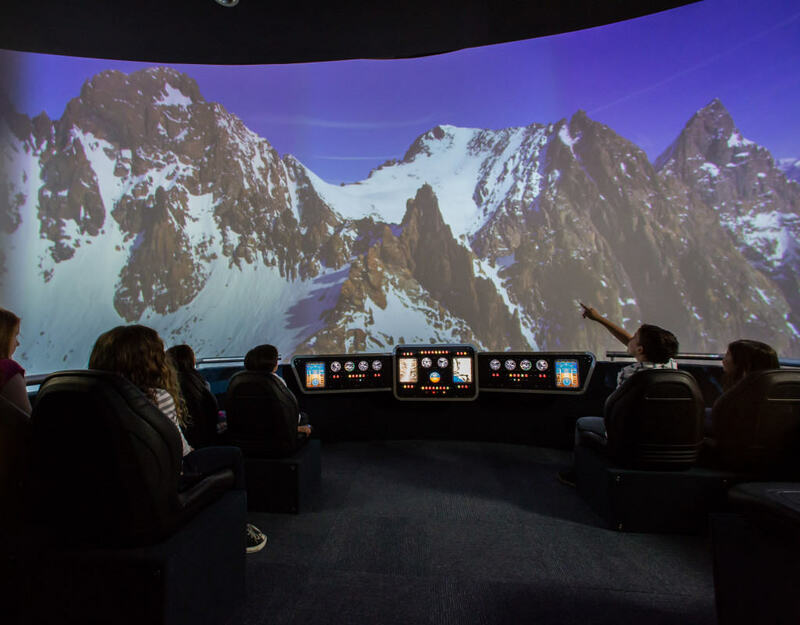 BONUS TIP: The LA Cube offers excellent field trips for school groups at a discounted rate. 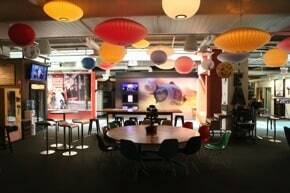 The Discovery Cube Los Angeles is open daily from 10am – 5pm year round except for Thanksgiving Day and Christmas Day. Tickets are $16.95 for adults, $12.95 for seniors (62+) and children (ages 3-14). Admission for Museum members and children 2 and under is FREE. The LA Cube is located at 11800 Foothill Boulevard, Los Angeles, CA 91342. 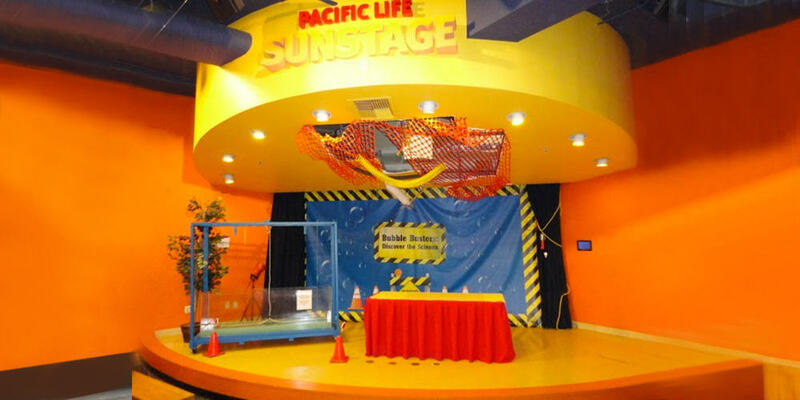 The Discovery Cube Los Angeles is giving away a family-four-pack of tickets to one lucky SoCal Field Trips Reader! Disclosure: SoCal Field Trips was invited to a media event to help facilitate this post. All opinions are our own. 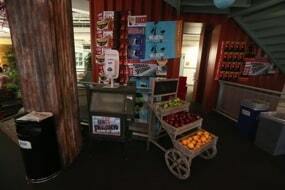 Images used by permission from the Discovery Cube Los Angeles. Contest rules and details provided in the Rafflecopter link above. Christmas is right around the corner and if you are like me, you have already started shopping for your little ones. This year I plan to shop for my 7-year-old son and 5-year-old daughter. First up, is Field Trip Girl. Two weeks ago Field Trip Girl visited Santa Claus at the new #SantaHQ experience at the Lakewood Center and asked him for a few presents for Christmas. On the top of her list this year is the new Lalaloopsy Color Me Squiggles N’ Shapes Doll. For only $24.99 on Amazon it is a reasonably priced gift.
. It is still up for debate as to whether or not we are going to get it for her though. Finding a used Barbie Dream House on Craig’s List is a better fit for our budget this year. 2. Learning Resources Letter Construction Activity Kit – Field Trip Girl enjoys building uppercase and lowercase letters with this fun construction kit, along with other creations such as flowers, people and animals. A bonus for mom is that she also works on her fine motor skills at the same time. This kit includes 60 pieces and 13 Activity Cards with step-by-step instructions. For grades PreK+/Ages 3+. 3. Magnatiles – We actually bought these Magnatiles for Field Trip Boy 3 years ago. By far, they are now my children’s favorite toys! I personally like Magnatiles because they are open ended and unbreakable. My kids create houses, tunnels and all sorts of wonders out of them. For grades Preschool/Ages 3+. I wish you all the best in your holiday shopping this year! Disclosure: All opinions are my own. This post contains affiliate links. 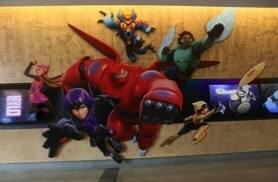 A Peak Behind The Curtain of Disney’s New Movie Big Hero 6! 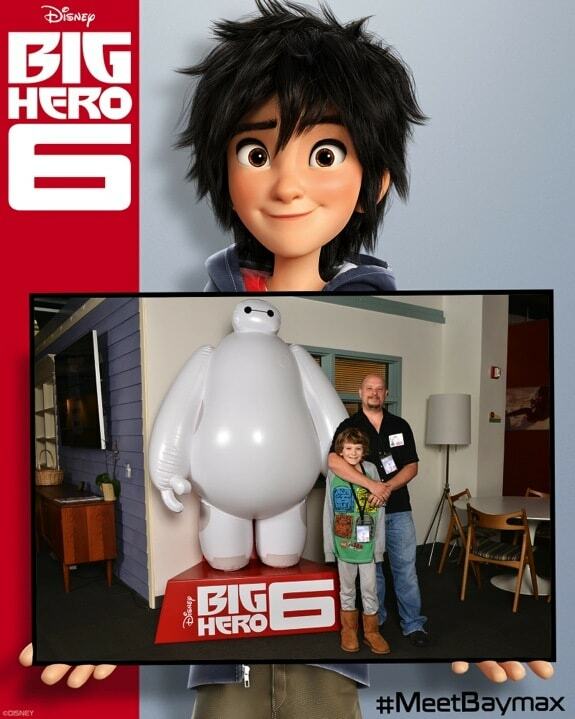 Joshua and Athan Eklund attended the Walt Disney Animation Studios Big Hero 6 Tech Day on behalf of SoCal Field Trips. After a blurry eyed wake-up call and two hours of stop-and-go traffic, our destination was finally in sight: the giant Sorcerer Mickey hat of the Disney Animation Studio. Ostensibly, Athan and I were here for a press event focused on the technology behind Disney’s newest animated feature, Big Hero 6, and indeed, we did see and hear about some impressive tech, but as Mickey’s giant hat faded from our rear view mirror at the end of the day, it wasn’t Disney’s technology that impressed me as much as their creativity. I know, I know, finding creativity in the Disney Animation Studio is like finding high fructose corn syrup in the Coke I had with lunch, exactly what you would expect. No, what really impressed me was the way that everything seemed design to help feed the creative process that went into making the film. 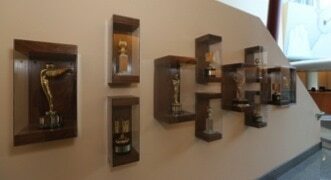 We entered the building and walked down a hallway adorned with a large graphic of the Big Hero 6 team followed by a group of display cases filled with well deserved Oscars, Emmys, Golden Globes and animation award statues. I can’t imagine that anyone coming to work down that hall day-in and day-out isn’t inspired to make sure their projects bring home some gold in the future as well. We were greeted and checked-in by some incredibly nice staffers and invited to help ourselves to some breakfast. Several of the writers attending the event seemed slightly surprised that there was a kid attending with them, but the Disney staff didn’t bat an eye. I couldn’t help but get the feeling it was because so many of them are still kids at heart. 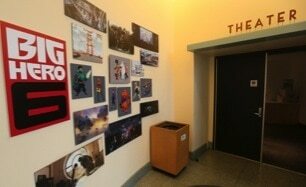 Athan and I grabbed a bite from the breakfast spread, and then perused the Big Hero 6 pre-production art hanging outside the screening room while we waited for the days’ events to begin. As fantastic as the artwork was, it wasn’t what got me thinking about that creativity I mentioned above. Honestly, I’m used to pre-production artwork from the likes of Pixar and Disney being fantastic. Even the most hurried of sketches are enough to inspire envy in most people. No, it was something far simpler and far more powerful. A blank pad of paper. Our first session began with Big Hero 6 producer Roy Conli who spoke briefly about the film and then introduced the directors Chris Williams and Don Hall. 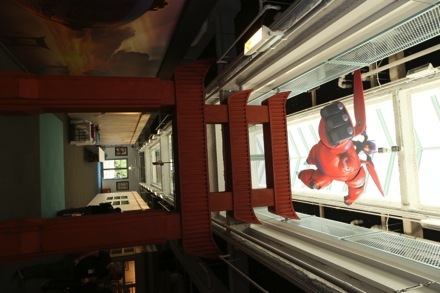 Apparently, after Disney’s acquisition of Marvel comics, Hall was encouraged to explore the Marvel vaults where he came across an obscure comic called Big Hero 6. Hall liked the title and the Japanese setting and was encouraged to “take the idea and run with it”. At hearing this, I was again struck by the creativity of this encouragement. Make no mistake, taking an obscure (some might say failed) comic book and using it as the basis for an expensive animated feature is NOT the kind of play-it-safe mentality you frequently encounter in Hollywood. Although the finished film is based very, very loosely on the comic (mainly the title, character names and a Japanese flavor) it’s still a big gamble, and it shows how much faith Disney has in its ability, as it finds itself in the midst of yet another animation golden-era. What I found so inspiring about the decision to develop this obscure property is that you never know where great ideas will come from, which is a good reason to keep pads of paper lying around. (Even if you are too tired to use them – Athan) In fact, it was during research for the film, in particular researching health care robots, that the concept of “soft robotics” came to the filmmakers’ attention. Obviously, I wasn’t there when it happened, but even years later you can’t help but get the impression that this was an “Ah-HA!” moment of rather large proportions. An inflatable, vinyl robot, not only has the great fortune of being something new and interesting that we haven’t seen onscreen before, but in the visual world of animation is an absolute GOLDMINE. And from what we saw, I have very little doubt that the character of Baymax will be the runaway hit of the film. Speaking of what we saw, we saw quite a bit. While Conli, Williams and Hall spoke about the origins of the film, it’s settings, and the characters, they screened about 20 minutes of the finished film for us. They of course spoke about the story and the “heart” that we expect from the best Disney animation but highlighted a few other aspects that caught my attention. 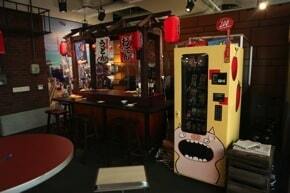 The first was the do-it-yourself inventor aspect of main protagonist Hiro. The filmmakers spoke about the popularity of the “maker-movement” that has grown exponentially in the last few years and I love that they have incorporated some of that into Big Hero 6. Hopefully it will encourage even more people, kids especially, to get their feet wet when it comes to the DIY maker movement. 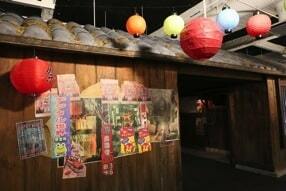 The second aspect that was impossible to ignore was the films setting, the fictional San Fransokyo. It’s unlike anything you have seen before and again, it was a perfect illustration of letting the creativity craft the product. Where so many others would take an easy short cut, Williams and Hall quite refreshingly stay far away from the “Dystopian Future” so often seen in science fiction these days. 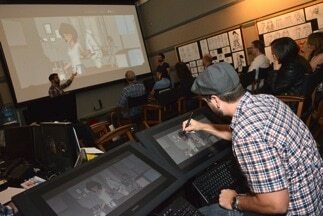 San Fransokyo, was also a major feature in the second session of the day, the Walt Disney Animation Studio Technology Presentation, led by WDAS CTO Andy Hendrickson and team. 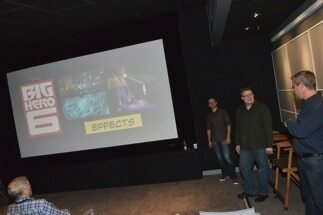 Since this event was aimed at the tech press, this session definitely ratcheted up the “gear-head” quotient a bit. The technology was very impressive, including an incredible new rendering engine dubbed “Hyperion” and a back-end render farm that constitutes the 75th largest super computer in the world. Hyperion is indeed impressive, but it’s what it allowed the filmmakers to do creatively that is the real story. When you make models or sets for films, whether they are traditional real-world ones or virtual 3D ones, the old adage has always been that you “only build what the audience is going to see”. 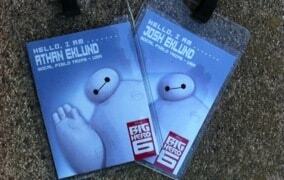 But for Big Hero 6 the filmmakers built the ENTIRE CITY of San Fransokyo. Starting with actual building data for San Francisco they build every last building in their city. “I can see my house from here” is a long-standing joke in animation, but for audience members from the Bay Area it will be quite accurate. While I’m sure there was a fair amount of “Because it’s there!” mountain climbing mentality and a desire to see just what their new rendering baby could do, the real inspiration was to free the directors to do whatever they wanted. Imagine the freedom to go “virtual location-scouting” rather than being locked into the same two-dozen sets? It makes the film far more expansive and come November 7th we will all be the lucky recipients of the technology team’s hard work. After the technology session we were taken to the second floor for lunch. The second floor is where production is housed at WDAS with pre-production/development taking place on the 3rd floor. We weren’t allowed on the 3rd floor because those projects are all still un-announced and are very hush-hush at the moment, but the 2nd floor did not disappoint in the slightest. The floor is divided into two separate halves, one half for each of two movies currently in production. On this day, half was taken up by Big Hero 6 as it was winding down production, and the other half was occupied by the upcoming Zootopia. Disney refers to these two sections as “pods” and here is where the “creative inspiration” theme of this post really took seed. Having worked in animation before, I was not at all surprised to see employees offices and cubicles stuffed to the brim with movie posters, comic books, and toys of all shape and description, this is pretty much standard operating procedure in the world of animation. But what I found fascinating was that Disney goes to considerable length (and cost, no doubt) to theme the entire half-floor pod to match the movie, bringing the creative personnel from these films into the process of designing and building out an immersive world for the films’ staff. Designing, building, and then removing this for every film is the type of thing that could easily be excised in the ever cost-conscience world of Hollywood, but Disney seems to understand the value of this creative immersion. Adding to the feeling that you are “in” the movie is the central cafe area situated between the two pods known as “The Caffeine Patch”. 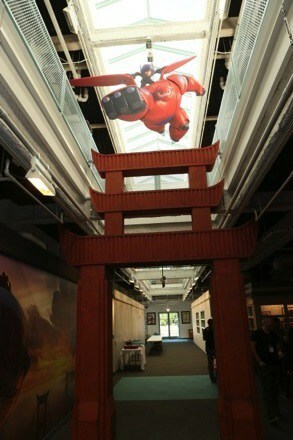 This area was currently themed to go along with Big Hero 6 as the film ramps up for release, and it was here that Disney treated us to a delicious Asian-inspired lunch. I won’t bore you with the details, but suffice it to say, that Athan, whose diet usually consists of only three items, even joined in – high praise indeed! After lunch, we were treated to a tour all around the production floor, which featured several highlights, among them Roy E. Disney’s former office situated in the Sorcerer Mickeys’ Hat portion of the building, some amazing looking artwork for the up coming Zootopia, and the WDAS office of Athan’s hero, the one and only John Lasseter. Supposedly Lasseter is here 2 days a week, but unfortunately we did not see him on this day. If we had, I don’t think that even the notoriously shy Athan would have been able to keep himself from approaching him and talking his ear off. And it’s that fact that really formed my discussion here about creative inspiration. Between the films, TV channels and programs, theme parks, toys, video games et all, few things in this world have the power to inspire kids the way that Disney can. For those cynics who believe that it’s all just show to get you to empty your wallet, I would say that WDAS (something the average Joe-on-the-street never sees) stands in stark contrast to that notion. Disney puts the same care into the behind-the-scenes goings on as it does for everything we get to see “on stage” and the enthusiasm exhibited by everyone we met with was undeniably infectious. Our day finished up with two informative sessions by the special effects team and the animation team, both filled with technical and artistic triumphs that just continued to fuel the desire for November 6th to get here as fast as possible. As great as the day was, I must confess that halfway through I was feeling a bit depressed. Athan and I were having a great time, so why was I feeling that way? Quite simply, I was jealous. I was jealous that I didn’t work there. Why do so many jobs try to stifle creativity and make everyone do things the same way? Why are so many companies afraid to try something unique? There are certainly successful companies like Disney and Apple that “Think Different”, so why are so many petrified of the thought? And worst of all, was Athan going to grow up and find himself stuck working at one of those places? After a few minutes I decided I needed to shake it off and focus on being inspired instead of envious, and my mood improved rather quickly. But my brief melancholy made me want to try to spread the word in any way I could, that you should never lose the inspiration for creative projects. Doodling pictures on the edges of your papers isn’t a waste of time, science and technology aren’t just for nerds or something you suffer through on a standards test. They inspire people to create great things, and maybe, hopefully, something that you can do for the rest of your life, something you can actually look forward to every day. I applaud anything like this that Disney does to reinforce the importance of creativity and can’t help but daydream about how wonderful it would be to have a dedicated program to foster creativity in kids. Imagine a summer program were kids spent a month at WDAS making a short animated film and getting advice from Disney filmmakers? 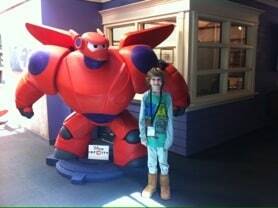 And that is what stuck with me after our wonderful trip to Walt Disney Animation Studio to learn about the new movie Big Hero 6. The wonderful example Disney and their creative people set by taking time out of their day and sharing their creativity and their inspiration. I can’t say whether it had an affect on the tech writers who were there, but I hope it made one on the kid in their midst. 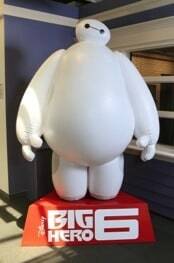 Disclaimer: SoCal Field Trips was invited by Walt Disney Animation Studios to attend their Big Hero 6 Tech Day. This post is for informational purposes only. All opinions are our own. 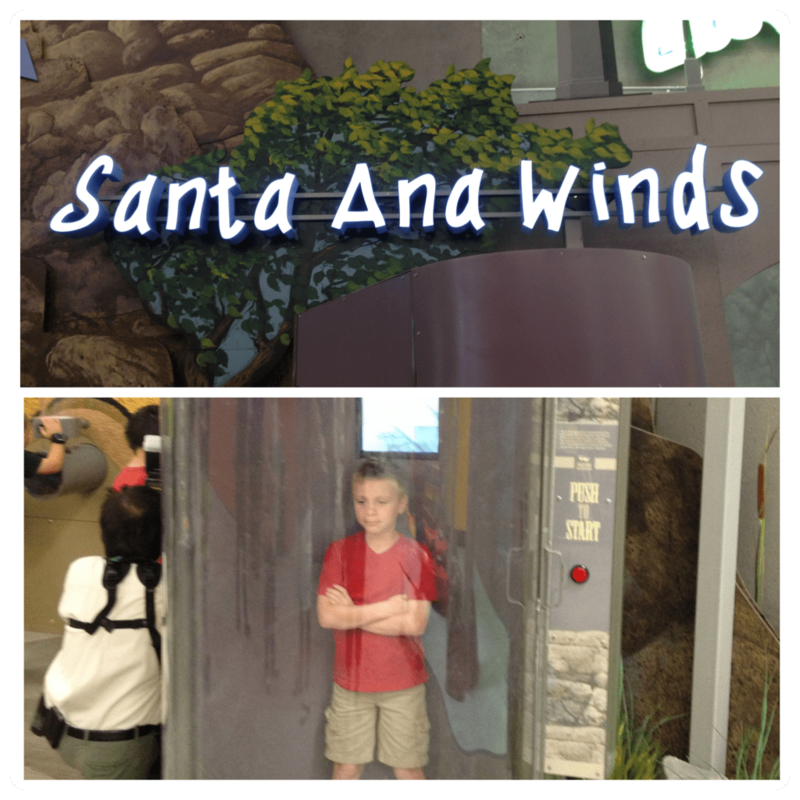 Images taken by Josh Eklund on behalf of SoCal Field Trips.